Your friends swear by it. Even the celebrities you see in magazines do it. Running is the best way to burn calories we are told, “weight just falls off” once you start running, you hear. 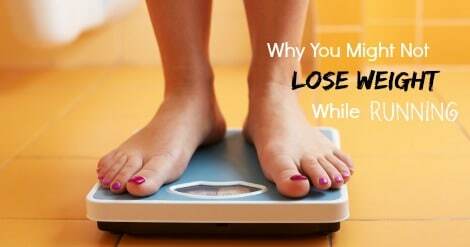 If that is the case, why can I not even lose 10 pounds running? Why am I the only one who seems to not lose weight running? Even though you feel like you are alone in this. It is one of our most popular posts, and every day we get emails about it. So does does running help you lose weight? While training for optimal performance on race day is the main focus for our coaches here at RunnersConnect, many of the athletes we coach set secondary goals to use running to lose weight and generally desire to be healthier overall. Certainly, sometimes these two goals – setting a new pr and losing weight – go hand-in-hand, but as coaches we tend to focus on letting weight loss through running come naturally as the body adapts to training and new levels of fitness. How can I lose weight fast running? This is partly why I wrote this earlier post on losing weight while running. Unfortunately, sometimes when a runner first begins serious training, the needle on the scale doesn’t immediately go down. Especially for runners who believe that running faster will make them lose weight faster. That is not always the case, and may even result in you gaining weight. This trend can be frustrating and demoralizing to many new runners following a training plan, especially one as intense as a marathon training schedule. 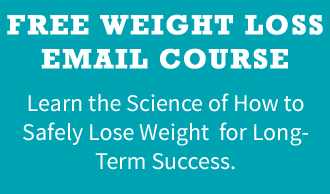 If you understand the science behind initial weight loss and the practical reasons for why this occurs, you can temper yourself from getting discouraged and make positive and lose that weight for good while also improving your race times. Why am I Not Losing Weight Despite Running Often? If the scale were a human, he/she would be considered a deceptive trickster. A scale only provides one number, your absolute weight, which isn’t always an accurate measurement of what is happening in your body. Drink a gallon of water and you’ve instantly gained 8.3 pounds. Remove a kidney and you’ve lost 2 pounds. Extreme examples, I know, but I think it proves that your absolute weight on a scale isn’t always a truthful assessment of changes in your weight, or more importantly your fitness. When you increase your training to gear up for your goal race, your body begins to store more water to repair damaged muscle fibers and to deliver glycogen to the working muscles. Likewise, you may even be drinking more water to supplement the miles and ensure your hydrated. All this water adds pounds to the scale, but isn’t indicative of your actually weight loss. While you’re not going to turn into a body builder after just a few days of running, your body will slowly begin to build muscle and burn fat. While this is great news for your overall fitness and race times, you’re actually gaining weight by supplementing low density fat tissue for high density muscle tissue. While it may not look great on the scale, it’s much healthier and will help you to continue to get faster and fitter. It takes a deficit of 3500 calories to lose one pound. Ideally, you should target a 300-600 a day calorie deficit if you want to lose weight safely and be healthy. This means, you can expect to lose about 1-2 pounds per week. Checking the scale every morning is going to reveal very little about your long-term progress or the actual state of your weight loss. If you weigh yourself everyday, you’re simply measuring day-to-day fluctuations in your hydration levels and other non-essential weight metrics. Just like you wouldn’t expect a 1 minute drop in your 5k PR after a week of training, don’t expect a 5 pound weight loss after your first week of running. Running and Eating Healthy, But Gaining Weight? You burn more calories while running than almost any other activity you can do. Unfortunately, while the energy demands of running are high, this does not mean that you can eat a big mac and a donut guilt-free and still lose weight. I often hear runners rationalize their dessert intake by saying, “hey, I ran 5 miles today, I deserve it”. Likewise, I see many running groups meet-up at Starbucks or the local coffee shop after a weekend run. Unfortunately, an iced latté and a small scone will quickly eliminate any caloric deficit from the run and negate possible weight loss. While running does burn calories, you have to be careful not to quickly or inadvertently eat them back with non-nutrient dense foods. Likewise, as mentioned in my article on how to lose weight and still run well, you should be providing your muscles with the necessary carbohydrates and protein to recover. This is a delicate balance, and probably the most difficult element to losing weight while running. As a coach, I think it is more important to focus on recovery and ensure that your muscles have the nutrients they need to rebuild. The harder you train, the more often you will get hungry and the real secret is to refuel with nutrient dense and high quality foods. Sacrificing recovery for a few less calories is not a good long-term plan. The numbers on the scale are arbitrary and focusing on them can be detrimental to your long-term progression. If you can continue to build your fitness and training levels, you’ll be running farther, faster, and be much healthier overall. On average, a runner will burn 100 calories per mile, but this will depend on your pace, size and metabolism. Generally, the more you weigh, the harder your body will have to work to cover the distance, and the longer you have been running, the more efficient your body has become, meaning you burn less calories. Many runners following a marathon training schedule automatically assume they are going shed pounds with all the extra mileage they are putting in. However, not only should you ensure that you’re recovering properly after your hard workouts and long runs by eating the right foods, you also need to account for what I call “hidden calories”. Primarily, hidden calories come in the form of sports drinks and energy gels, which have a high caloric content. It’s critical that you practice your fueling strategy during your long runs and hard workouts for optimal performance on race day. Likewise, to sustain high levels of training and to complete long and arduous marathon workouts, you need to fuel during your training sessions with sports drinks and energy gels. However, this also means that the total number of calories you will burn from these long runs and hard workouts will be less than you might realize. Again, for optimal performance and training progression, you need these extra calories. Unfortunately, they can also be the reason you might not see the weight loss on a scale. Is Running the Best Exercise for Losing Weight? Running will not automatically result in an immediate weight loss. Sure, running burns more calories than any other form of exercise, but the scale should not be the primary metric by which you gauge your fitness level and training progression. While I understand weight loss is an important goal for many runners, don’t become a slave to the numbers on the scale. Pay attention to how you feel – do you have more energy, feel stronger, starting to fit into your clothes better? While not absolute measurements, these emotions are a much more accurate measurement of your progression. I recently started training, and I’ve gained 3 pounds since before. Is this normal? Does the weight keep coming on or does it start to come off after a while? Yup, as the article states, this is pretty normal. Here’s another helpful article on why you might gain weight. Yep, totally normal. But how was your diet during this time? After all, you can’t outrun a bad diet. If your primary goal is long-term weight loss, then you may be better off with a light strength training routine, but that’s up to you. The most important thing is to simply develop habits that address ALL aspects of health that contribute to your weight. Great points Leah. You are right on the marker; diet is just as important as the running we do…some would say more important to maintaining a healthy weight. Thanks for sharing your insights! Hi, so I’m really writing because I’m in need of a little reassurance. I have a background of running competitively in high school as well as some in college, and I just love to run. The longer and harder the better. I started training for my first marathon a few months ago, it was a turning point for me because after freshman year of college I had really let myself go, something so many people do. Running was one of my greatest joys and thanks to a few months of focused training I’m finally back in that mindset. The thing I have a question about is that admittedly when I started a few months ago I wanted to lose weight, and on a 1200 calorie vegan diet I did, but I got quite the wake up call as my mileage increased., that being I was being ridiculous. I count every calorie, log every food I eat and mile I run. But since eating more, and still keeping a deficit I have yet to lose any pounds. I’m trying to be patient because I have been having incredibly strong runs, definitely feeling like a college athlete again but in the back of my mind it does bother me a bit that this last 15 lbs is so tough to shake. Any thoughts? I am in the same boat as the previous two posters. Three weeks ago I began counting calories and jogging to lose weight. I use myfitnesspal and I count every calorie, eating between 1400-1600 a day, and I jog for at least 30 min. five to six days a week. The last two Wednesdays i have run 5k, and I have been doing two days of weight training a week as well. I have gained a pound! It is so disconcerting, especially since I am dieting (yet again) after gaining 15 pounds in the last three months from getting a Depo shot. I have noticed an increase in energy and stamina, and my legs and hips have slimmed down some I think, but I would think after three weeks I’d see something! Desperate to slim down and have taken up running. Been eating really healthy and have ran 38k since Monday and now since Monday I have out on 5 pound. Yes my clothes for better but how on earth have I out on 5 pounds!? Help!! I’m very frustrated and hoping for help. After being injured I stop watching what I ate and gained 15 pounds. For about a month now I have been eating 1410 calories a day and running about 30 miles a week. The scale dropped about 6 pounds but sometimes shows 10 pounds since it fluctuates. My pants aren’t really fitting much better and I don’t know what I am doing wrong. I fluctuated 6 pounds in 2 days. Since I’ve started training hard, for 2-3 weeks, I’ve been watching the scale creep up, about 4-5 pounds! So weird, I expected to start losing weight and have to eat more to maintain. I seem to look about the same in the mirror… How long before my body adjusts to the new training and goes back to normal? You mentioned eating the right foods. What is considered the “right foods” for someone that runs 20-25 miles per week on avg? Can you be more specific? I am careful about the foods that I eat before & after I run, but fear I may not be eating the right foods. I have only lost about 5 lbs. this year & have been running consistently all year. Weight loss is a secondary goal for me, however one that I would like to see more results with. Any advice? Thanks for the article. I’m quite unsure with pounds/lbs so I’m originally 60kg and 168cm tall female. Recently I drank a large amount of water and gained 4kg as a result. I need to lose water weight and more weight from m original weight. I don’t exercise much but I seem to be born with a lot of muscle mass’ I’ve did a test and only have 7kg of fats, the rest are my organs, muscles and bones etc. The best way you can lose water weight without going about it in an unhealthy way, is to cut back on grains. Grains require a huge amount of water to be stored in your body… they just soak it up. I suggest doing 3 days of protein, fruit and vegetables and taking an Epsom salt bath every night with 1/2 cup of baking soda. This works for me every time I start to feel bloated. When you need some carbs for running, eat a sweet potato or green banana or some plantains. No need to go low-carb… just go low-grains. I do this every day and have eliminated that constant feeling of bulkiness! Thanks for article. I’ve been running for the last 4 years. Until about 3 months ago my runs were limited to 4 miles and I’d do 15 – 20 miles a week. I lost about 12 lbs. And then it plateaued. These past 3months I’ve upped my mileage significantly and training for half marathons. I run 25 miles a week now and inspite of that I haven’t seen any weight loss these past 2-3 months. As far as I can tell, I’m eating about the same as before, maybe even slightly lesser. I’m not sure what else I need to do. I’m some 10 lbs from my ideal weight. Any pointers? I am a runner age 43 and 165. best pr being 5k in 25.38. Cooper VO2max places me in ballpark of 43. However since last 4 years i have been running I see a tendency to quit and increase my walks more..Is it normal..Also i have seen that my weight affects my 5k times most. Dropping 5 pounds to 150 will shift my 5k times ..
does weight have maximum contribution in 5k times once a perosn has built up a good aerobic base..
Hi. Based on my personal experience, most estimates of caloric burning without a heart rate monitor are grossly exagerated. So the first advice I would give is to get one and get accurate estimates. Make sure you have a diverse training plan, including interval training, long runs, recovery runs, changing distances, times and paces, so that the body doesn’t become over efficient on a specific type of effort type and lenght and you force him to adjust. Many people I know who complain about hitting a plateau do not have a progressive training plan, they get stuck in the same routine. The more you train, the harder you have to train to shake those extra pounds you want to. Just make sure you do it very gradualy. Ideally, you shoud forget weight and focus on performance, improving your times, paces etc. and take satisfaction for it. Losing weight will happen. combining other sports also helps. My main sport is cycling (and I commute on bike) and I started running to improve my cardio and lose weight. The amount of calories I burn through cycling doesn’t compare to running. I can burn over 2500 kcal in a single 3h 60km MTB ride and my daily biking commute, wich is short (11km) burns about 400kcal. In a litle over two months I lost 3kg (almost 7 pounds) and I was already average fit when I started running. So fitting some new sports in your running schedule might also help. Cycling has the advantage of not being agressive on joints and muscles you need to run. I agree cycling is much better way to lose weight, if that’s your intent. It’s more fun to do than running. Running is best to maintain a very strong cardio function and weight maintenance – I have been at the same weight for years and I enjoy some major junk food whereby people wonder how I can eat it without gaining. I have no desire to lose anything since I’m optimal but don’t want to gain of course. Downside to cycling is that it’s much more expensive than running, can be a lot more dangerous, and on a time/effort basis, it consumes more time. Since I often work 10 hour days, time management makes it better for me to do a 45 minute run than to get on the bike to achieve the same burn. hi. I’ve been jogging on my treadmill for 4 weeks and have had no change in weight. is this normal. I have diabetes and I take psychiatric medication and I am 46 years old and I weight 170 pound at 5 feet 3 inchs. I absolutely love running. I quit smoking a year ago and I know that the meds i’m on make you gain weight but I am wondering why after running for a month I haven’t budged on the scale? Hi there – I just started lifting heavy weights (arms, abdominals and legs), and I’m curious how many inches I may increase by lifting. I am not eating on a deficit because I WANT to gain muscle (I love the look so much better than skinny). Essentially I’m wondering how I will know if it’s muscle increase or fat increase? Any tips? I know my weight will shoot up, but what about inches? Hello, I just started running about 2 weeks ago.. of course I have gained about 2 1/2 pds.. not too happy, but your article helped me realize why. I do have a question though, I never know if I should before or after a run? I’ve heard to eat something right after running (in that 20 min right after) but I’ve also heard to eat something before your run to give you energy. The times that I run are different every day since I have kids…so I do’nt know if I need to set certain times where I should eat something to keep track of everything better? Also, I LOVE to eat… (even though I only weigh 120lbs and am 5’3”), but I usually eat what I want. that has led to cellulite. I am looking for some really quick snacks/lunches to eat throughout the day so I’m not starving when it comes to dinner, or have eaten a lot of not so healthy things at the end of the day. And should those snacks be right after I run? thanks so much!!! Good article, but one thing is wrong: muscle does NOT weigh more than fat. It just takes up less space. Two people who weigh the same can appear very different if one of them is in good physical shape. They will appear to be thinner. You’re correct, a pound is a pound. The point is that if training is going well, you’ll also be burning fat and building muscle. The more miles you put on your legs, the stronger they will become. In essence, you’ll be trading low density fat tissue for high density muscle tissue. Great for your performance, but not for the scale since muscle tissue is roughly 20 percent heavier than fat. I’ve just started running to lose weight. I run about 800 meters 3 days a week. I read that you need to run fast to do carios. I ran really fast today and after a while, i didnt have energy to run anymore. How fast do I actually need to run? That’s wrong. You need a mix of fast and slow running. Slow running to burn fat and build endurance, fast running burns more calories per minute. I have also started running since a brief pause of really low intensity running and some x-training (mostly rope skipping). I noticed that my body looks much better and my face is melting, but I have actually gained a few pounds. However, my legs are getting really strong! I often run 10k now.. (2-3 times a week usually) for a beginner – it’s normal. I’m really glad I found this article which confirmed my suspicion that I’m gaining muscle faster than I’m burning fat, at least for the moment. Great article. I’ve been struggling to get back into running the last four years with a new family and bad knee, after being a serious runner before. I do use a scale to chart progress on weight loss, but only very long-term. Any weight-loss run strategy for someone getting started the best advice from this article is to pay more attention to your energy levels, sense of wellness, and if your clothes begin to fit. It’s not unusual for me to lose a 1/2 inch or more from my waste and not see one pound of difference on the scale in the first month of restarting running. Just don’t let the scale be anything but a part of your weight mgnt plan long-term and don’t let it push you into shocking your system by crashing your caloric intake while starting to run again – will crash your energy and invite injury. I’ve been running for 4 months, 5 days a week. I love running but I was looking to slim down. Instead I’ve been getting bigger, I have a good diet. I’m 5’5 & 115 pounds, I use to be thinner- I don’t understand why I am getting bigger thighs? If you have any ideas please reply! Thank you! One correction to what is said in the article – muscle does weight more than fat, it takes up less space in your body. One pound of muscle and one pound of fat weigh the same – one pound. But you will look leaner with one pound of muscle on your bones than one pound of fat, because fat is less dense and takes up more room. So, when people start running, they might start to look leaner, but they *could* weigh more on the scale if they have replaced the same amount of fat AND also added more muscle from the running. But in the mirror, you will look leaner than before. So, it’s the mirror – and your looser clothes! – that are tricking you to think you have lost weight! In one of your replies to a comment you said that you shouldn’t eat before a short run i.e. 3-8 miles (roughly)? I have been running for the past 3 years, ran a half in the spring and I am now training for my first marathon I am on week 5 with a total of 25-30 miles per week. I have previously not eaten prior to any runs even long runs with exception of a granola bar before long runs. I recently tried eating a small meal prior to a long run and a granola bar throughout the run and found that it helped significantly. So I decided to continue to try eating a small meal (toast with peanut butter and honey and a yogurt) before my runs and feel it has helped curve my appetite throughout the rest of the day. Is this not a good idea? I’m super concerned about the weight gain because I know it will eventually come off, just want to make sure I am fueling correctly. I have been dieting for about 5 months and lost 45 pounds. Now I am stuck at 208 pounds for about a month now, I eat very healthy, Drink only water for the past 6 months and I run 7 miles a day. No bread, No pasta, No snacks and do not eat after 7 pm. Why am I not losing anymore weight ? Ok so I’ve just recently got into running but my body seems to be having the complete opposite effect and I’m actually losing my appetite! I LOVE food so this is not something I’m familiar with. I’ve asked around and all I hear is that I should be hungrier after running. Thoughts?? I don’t want to lose my mileage but I also know I can’t keep feeling this way! I’ve been running for 20-25 miles a week for the past month to two months and have gained weight. My average mile is 9:15. I run an easy run around 10min and then a hard mile at 7:45-8min. Then repeat. I have been told to run much slower closer to a 12 min mile to lose weight. Is this true? I eat relatively clean, with a few cheat days, but for the most part pretty clean. Please give me a better insight. I need to drop 15 pounds and love running, but I am getting very discouraged. Thanks! After doing regular running and eating a healthy diet I dropped from 94.5 kg to 77 kg. I’ve reached a weight plateau. I read up on this and will take note of my calorie intake from now on. My goal is to get to 66 kg, my natural weight. If I can do this I will be very proud of myself. I enjoy running and find it very rewarding. Its good to see that people on here are having the same problems with their weight also. But just going back to riding a bike again, i have only been riding for 2 weeks for an hour four times per week. I only eat 1000 calories a day and was losing lots of weight. But now, since i started riding, i have gained one stone. please tell me what is going on here ???? I started running 3 weeks ago. I’m 190 lbs and wear a (tight) size 14 jeans. I’ve increased my water intake and dropped portion size to my meals. Now 3 weeks later I’ve tried on my jeans I’ve been dying to get into and they are tighter than before! My legs seem to have gotten tighter but thicker as well as my tush. Normal? I have been running for four months and the change is minimal. Should I be seeing slot of change by now? This is silly. Wake up in the morning, go to the bathroom, then weigh yourself. That’s the one that counts. If you want to lose weight, perhaps don’t run. Consider trying another form of excecise. Unless you love and enjoy running, from personal experience, I’ve lost more weight doing Pilates, spinning, trx and insanity. I ran daily for over a year only to gain 15 pounds. Everyone told me all the advice above so I kept going upping it to eventually running twice a day. It should also be noted, I eat clean and vegan, but have always had a hard time losing any weight. All the woman on my mom’s side are obese, so I do have to struggle harder than most to keep a normal weight range and can fall out of normal quite easily. For some people running can really mess with your hormones and cortisol. I happen to be one. My stomach, my problem area gained inches from the cortisol imabalance the stress from running caused. Anyways that’s my bit of advice to people in the comments saying clothes are tighter and are gaining weight, believe me I’ve been there. My clothes were so tight during my year of running. That was now 2 years ago. I got really discouraged and gained 10 more pounds after stopping running. I stopped working out for two months because I thought If I can’t lose weight running, the holy grail of weightloss, I must be destined to be obese like the women in my family. Well this past year (actually about 8 months) I have not run once. My diet and daily 1200-1400 calorie intake is the same as it was when I ran. I now do Pilates 2xs a week and insanity the other days and occasional spinning and trx lesson. I used to run for 45 mins or so morning and night. I workout an hour a day now as opposed to the 1.5 hrs of daily running I did. But, now I’m down over 30 pounds and have lost inches like crazy. Also this isn’t a running bash. I have friends who love it, it’s their passion! They were an amazing support system for me when I did my year of running. Ultimately I just don’t and didn’t love running. I considered it a chore and soley a weightloss tool. I just want others who struggle with their weight to know there are other options and tools. Like many, I had assumed running was best weightloss tool, but their are many tools out there, don’t give up just keep taking every class and every step until you find something that works for you and your body. Listen to your body. If your pants are not fitting, your body is letting you know soemthing is not working like it should be. I agree, Bobbi. I tell people not to run as a weight loss tool, but only if they enjoy it and it relieves stress. I lost 75 lbs in a year before I started running, doing weight training and intervals to help with the weight loss and to not get too flabby in the process. I wouldn’t have run carrying more weight because of the toll it takes on the knees. As it was, after running for a few months I developed Achilles tendonitis, which affects every part of my day now. I still run, though, because I do love it. Street running is much more enjoyable than a treadmill, I have to say. : ) You need to build muscle to lose fat; that’s the bottom line. Running by itself is not going to do that all over your body. And Jeff is right, you have to have the right kinds of foods and the right quantity of food to lose weight no matter what you do for exercise. Diet is 80% of weight loss. You have to figure out which foods are going to work for you and which ones aren’t. Personally I have found over the past 20 years that I was frustrated trying a zillion diet and exercise programs that certain types of foods now just have to be off of my diet forever. Hi Shelia, thanks for your input. Sorry to hear about your struggles with your achilles, but we are happy to hear that you found your love of running. We always enjoy hearing that. You are right on with your suggestions here, and we appreciate you backing up this article. We need to save your response for others to read! This is exactly what most people need to see! Thanks for sharing! OMG – 1 lb of muscle does NOT weigh more than 1 lb of fat!!! Thanks for your comment, but I don’t recall saying that. I said muscle weighs more than fat (I never put a measurement on it). That is completely true. If you took a handful of muscle and handful of fat, the muscle would weigh more. Sir Jeff, I run and walk daily for 45 mins covering distance of 4000-5000 meters. I run very fast and then when i cant run any more i start to walk and then again after i regain my breath i again tend to run and then again stop and start to walk. Sir is this an efficient programme which iam doing to loose weight or iam not doing it right? I’d like to point out that this works in reverse, too. I.e., if you’ve built up a decent running base and fitness level, and then suddenly stop, the scale can mislead you into thinking you’re not gaining weight or only gaining a little, or even losing. In reality, you’re slowly losing the muscle you’ve built, stored glycogen/water. This gets me every single time, no matter how much I know better. And p.s., I have not lost any weight running; I’ve actually gained. Most likely due to the injuries?? great article, except the bullet point of muscle weighing more than fat is misleading. You did mention low density vs higher density which is correct. But if you take one pound of muscle and one pound of fat and weigh them both separately.. the scale will still say 1 lb for both. Thanks for your comment, but I don’t recall putting a measurement on it for that very reason. Hi …. I have been running for the last two years averaging 8kms per day. While I did lose about 10 kgs initially, my weight has remained stagnant at 75 kgs. I am 63 years old with height of 161 cms. I admit that running has toned my body, am free of minor ailments like cold and fever, no aches and pains of any kind. I have good stamina and remain active most of the time. I dont suffer from any age related ailments. I took to running to cut down my weight to aleast 65 kgs…but this has not happened. Your article is an eye opener to why, though I run, why I dont lose wieight. I hope to alter my diet (I have frugal meals and avoid dinner, if possible), and include more of fresh veggies and fruits. I hope it helps. Please do advice me on what else I can do to help me achieve my objective. Thank you for your time. First off, Congrats on your weight loss! In terms of chafing, all runners deal with chafing at some point. I would use apply Body Glide or Vaseline on the area that gets irriated before your run. That should do that trick! This article has meant so much to me. I feel like printing it and posting it in the mirror to look at each day. I am over weight and found out I’m pre-diabetic a couple months back. I’ve been running a couple months now and am getting better at it. I can run a mile without felling exhausted pushing for 5K. I’ve been running 9 miles a week on a 1,200 low carb diet and have only lost 7 pounds. I go up and down. I eat more veggies than a vegetarian. Looking at the scale daily has been an emotional roller-coaster. People assume that being over weight has to do with poor food choices and sedentary lifestyle. That’s not even close to my case. I’ll just keep going and pushing and hope that my body will eventually adapt. Thanks so much. I’ve been running for 4 weeks now training for a half marathon and I’ve gained 6 lbs. My clothes does not fit better and I’m not feeling much faster either. In fact my clothes fits tighter! But I am hungry all the time and I think I’m eating all the wrong foods. Are there any ways to boost metabolism? I’m going to try to eat healthier now. Interesting article. I’m also having the same problem. Right now I’m currently training for my second half marathon but I’m still having problems losing body fat. My mileage per week is about 30 to 40 with long runs and speedwork included but I haven’t seen or felt results through my clothes or running time. I don’t eat a lot so I don’t see what the problem is. Any ideas? Hi. I have been running pretty consistently for almost seven months. Before that I started walking and then slowly started jogging. Now I can sprint, jog, sprint, jog. I do not have a scale, so I really have no way to measure. I am a pretty healthy weight but I constantly want my legs to be more toned. I cut down on calories, I cut significantly on drinking beer, I do not drink soda ANYMORE, I do not eat fast food anymore, I cut down on sugar. I did all of these things. Yea, I have cheat days. I try to run 4 miles at least 4 times a week. I am usually consistent and push myself to go faster. I started eating breakfast to jump start my metabolism. I feel like after doing all of that, I only lost three pounds. I see leg tone but not as much as I thought I would see. My inner and outter thighs are my target. I understand that in order to shrink these parts of my body I must lose weight and I can’t really target these areas. I am doing this in a healthy way and I incorporate pasta and protein in my diet. Will I see thinner legs later on? Will it take a year? Is it harder when you are already in pretty decent shape? It is just a goal I’d really like. Other than that all the other benefits totally outweigh anything else. But this is really the reason I started in the first place. It is really kind of frustrating. Thank gosh running takes away a lot of anxiety! Or is this just the way my body is? I really feel like if I stick to it and maybe be a nazi about my diet it will happen. But I also love food and don’t want to do that completely. I am wondering if there is a glitch that I am missing and if I remove or add something very little I will see more significant results. I do not want to starve myself. I also out of the whole seven months there were about 10 days in a row that I did not run. I felt like in those 10 days I started seeing results. Why is that? Am I bulking? What is going on here. Should I walk instead? I have to say I’ve been running for a bout a year now and am really disappointed. I’ve never had a problem with weight and found it easy to maintain a slim size 10. Since running 5k 3 times per week and eating a little less my weight has increased by about 10lbs. I would love to convince myself that it’s all muscle but it simply isn’t: I have quite a large fat over hang round my stomach now and clothes are tight. I’ve decided to knock running on the head. There is some debate that running can effect the thyroid, I’m not sure there is any clear evidence for this, but certainly for me running hasn’t been good for body fat. Clearly though, it does work for some, so I think that you just have to observe your own body and see what works for you. sorry to hear that nicola, but if you feel this is the right decision for you, then you should follow your heart. Often people tend to overeat when they begin running as the increase in hunger causes them to eat more than they burned, it can take a while for your body to balance itself out. However, if you have given it a year, and you want to give the running a break, we do not hold that against you. If you do decide to take up running again, we would be happy to help with your questions. Here is a post on thyroid imbalance in the meantime https://runnersconnect.net/running-training-articles/thyroid-disorders-in-runners-a-look-at-the-impact-of-training-on-thyroid-levels/ Hope this helps! Hi, Hope you can help me, I have been running for a month on again (I did some running last year) and love running especially afterwards the good feeling of what I have accomplished I don’t know why but I like it. the weird think is I don’t have energy, I eat lots of fruit natural food and raisins I drink a slow mag every night and I drink protein shakes. I want to loose 10kg but how can i do it don’t know what to eat to get energy to run and what to eat to lose what at the same time? Please help I am very tired at work but happy about the run I did a 7k this morning, I want to run but need help on what is the right food to eat and loose weight, do you maybe have a worked out meal plan ? I live on a farm and drive early in to a mining town to go to work, we do not have a dietitian. Thanks a lot! Hi Maritza, it sounds like maybe you are stepping it up a little too fast if you are running out of energy, or not eating enough to suatin your lifestyle and increase in running. You may find this post helpful: https://runnersconnect.net/running-nutrition-articles/losing-weight-with-running/ and this one also https://runnersconnect.net/running-nutrition-articles/weight-loss-running-performance/ Hope this helps, if you need more information, let us know! I started back walking again, I can’t run but I walk very fast (4 mph). The first day I walked 50 minutes so just less than four miles, the second day I walked for a hour and fifteen minutes so five miles and I am up to now walking six and a half miles which is roughly just over ninety seven minutes. I also walk at a 6% incline for thirty minutes of that and 10% incline for fifteen minutes so for a mile at 10% incline and two miles at 6% incline. The rest of the time I am at a 3% incline for the other three and a half miles. All of this is at the same time, no rest, at least for most of the time. There was one day I did it in two different times of the day with the total walked of the six and a half miles. I like to walk the whole hour and half if I can because my shins hurt so bad at first for sometimes only twenty minutes but most of the time for almost a hour which makes it hard to keep going but I do and once my shins stop hurting I feel like I could continue walking indefinitely. I gained eight pounds right off and have not dropped one pound at least not keeping it off because it will be back up to my eight pound gain again the next day. I have done this for three weeks now so am I going to keep the weight on because it seems to have gone to my gut where most of my fat is? I also try and lift weights for about a hour each day, not as hard as I use to when I was body building when I was eighteen but I know I did not and I am not just gaining it in muscle. I look very good for being a few months from being fifty four but it is my gut that looks so bad, I have about a three quarters of a inch when I pinch my skin on my gut and most everywhere else my veins stick out so my skin is fat free like on my arms, very thin on my chest. My legs have less than a quarter of a inch when you pinch it. So my question being actually two questions is my walking close to being as good as running? And is there any other way to get rid of the fat on my gut. I look at my pictures of myself at eighteen when I was competing and I want to try and look as good. I am not sure I can match my size since I was pretty big having 16 3/4″ arms. My chest is almost the same size at 45″ but if I could get my so called six pack back I would settle for 16″ biceps which I think I can get to by the summer. Another question is how can I cure myself of getting sick every time I eat? This is another reason why I can’t gain in muscle and have to watch how hard I lift because I don’t want to tear more muscle down than what I can repair each day with the protein intake I am able to handle now. Thank you. Hi William, thanks for sharing. We are definitely not going to rule out the importance of walking. That is a great exercise, and sounds like you are really trying. Take a read of this article https://runnersconnect.net/coach-corner/dont-shun-runwalk-method-experienced-beginners-alike-can-ultilize-runwalk-smarter-training/ May make you feel a little better. When you say getting sick, what do you mean by this? Physically cannot hold the food down? We have an article on protein that you may find helpful, which will be important for recovery https://runnersconnect.net/running-nutrition-articles/protein-for-runners/ if that is what you are looking for? Hey ” i started runing since 2week (5mile) but i didnt find any result to loss waight .. when i get change ?! Hi Mark, you have to be patient, and make sure you are still eating correctly. Keep going, and listen to the advice in this post! About half of your commenters need to learn about edema. Of course you gain weight when you start a new exercise program. You have a little swelling in your muscles that goes away after a couple of weeks. Stop worrying about water and worry about fat. Second, it is nearly impossible to gain muscle mass while running a calorie deficit. It just doesn’t happen. And even if it did, for men the maximum gain rate is half a pound a week and for women a quarter pound a week. That’s with a heavy lifting program, and not a catabolic activity such as running. The hard truth is, if you’re not losing weight while running, then You’re eating too much. You need a strict regimen of fork putdowns and plate pushaways. I ‘ve started jogging a month ago. I used to jog for 45 min a day, following a diet. But I didnt get good results. I feel like I ‘ve gained weight, my dress doesn’t fit me like before and my shoulder became broader than before. Nivetha, you may have gained muscle, which could explain the dress not fitting, but it is unlikely that the running caused your shoulders to become broader. Try to follow the tips we recommended in this post. I’ve started running starting with a mile and have it up to 2.5 miles. I’ve been doing it for 4 weeks now. I have 2 questions. I started to run to assist in losing weight, and 2 weeks ago was quite down because I’d not lost so started on slimming shakes twice a day with a normal meal in the evening… No nibbles or sweets, just a banana or apple in the afternoon. Is this bad? I did lose 4 kgs initially but now nothing. My second question is to do with the running itself. I’m 55 years old and struggle with stiff shins and calves when trying to run up hills and was wondering how I can overcome this As I simply have to stop running and walk up the hills. I have been running now for about a month and a half, a 10 minute mile 5 days a week, as well as some light stomach and leg workouts. I have not seen any changes in my legs, which is my main reason for running. I thought they would start to slim down a little but they aren’t and I am eating relatively healthy during the day. I was concerned about gain a couple pounds after running but you talked about that in the article. Is there something I am doing wrong with regard to the lack of change in my legs?? Hi Alyssa, thanks for reaching out. Give it a little more time, and just watch your portion control. Sometimes when we first start running, as your metabolism speeds up, you start to get more hungry and eat bigger portions without realizing. Your body will balance itself back out again< Just make sure you know how many calories you are burning as it is often less than people think. Also, you may see changes in other places, unfortunately we cannot pick where the weight comes off, so it may be another area of your body. Keep at it, you will see change, and you should see the muscle definition coming through on your legs a little more very soon! I have been running since around December/January. Now, I try to run close to 6 miles every other day or so. I probably do an average of 9/10 minute pace. A couple months ago I was losing weight easily because I was cutting calories to 1200 per day. Now, I am not doing that because I am running more than I used to, but I have gained about 4 pounds since March. I do some ab work when I can, but I don’t understand how I can be gaining weight. Is there any information you have that could help me understand this? Thank you! #3 used to be a problem of mine when I focused on cardio. I’ve found a light weight training routine to be much more effective. Regardless, the best way to approach weight loss is as a combination habits, each of which impacts your overall health. Developing good HABITS is what separates a good weight loss program from those that inevitably fail. Hi Lina, thanks for reaching out. Glad you have found something that works for you. We definitely encourage strength training to supplement the running, and that was one of the reason we created our course, as a lot of runners do use exercise to maintain weight. Thank you for sharing your insight, you are right on! I’ve been jogging for 3 months and I jog 3-5 times a week for at least 20min every time but I only lost 1kg. My muscles keep building and make me look quite muscular. I eat normal meals everyday like bread for breakfast , rice for lunch , fruits for tea break and less rice at night. How can I slim down and avoid building too many muscles? Hi Penny, running is naturally going to build muscles, as is any form of exercise. Most people think muscles look great, and even though you have only lost 1kg, you have gained a lot more healthy body benefits. The only way you will lose the weight without building muscle is to not exercise and just limit eating, but we would definitely not recommend that. Wow! makes sense. Love this article! Hey, I weigh about 205 pounds at 5’11” 18 years old. My freshman and sophomore year of high school I did long runs 6 mornings a week(cross country team), power lifted during school and had 2-3 hours of football practice 5 nights a week. I was working out between 6 and 7.5 hours a day and weighed 155-165 depending on what time of day. It’s been two years since then and I’ve slowly put on about 20 pounds of muscle and 25-30 pounds of fat mostly around my stomach. I’m no stranger to running or lifting but I have had unusual trouble loosing this weight and every time I try I gain weight (10-15 pounds). I eat better than the average high school grad and am not stressed out. I’m currently only running but I do so every day along with 25 push-ups for every mile I run. Any advice on other workouts to do to loose this weight? It’s almost entirely around my stomach and obliques. Anything besides crunches? To lose weight I started power walking in april and have gradually built up to interval running. I do 4.5 to 5 miles every morning and an additional 4 miles in the afternoon. My weight loss has been a great success up until now. I drink 10 to 12 bottles of water per day. I usually weigh every morning before and after my morning run. I weigh every morning and my weight is about 2lbs more and then after my run about 2lbs less. This has been going on for the past 2 weeks with no weight loss. Seems that my body is hanging onto more water until after my run but i am getting no additional weight loss. Has my body gotten used to needing extra water to sweat? Therefore retaining more. I eat low cal low carb and cant seem to get even one pound down over the past 2 weeks. Confused. Hi Gail, thanks for reaching out. Great job with your weight loss so far! You should give yourself a pat on the back for getting your walk in every day! It may be that you are not eating enough now. Your body may have been burning through the calories initially, but is now at a point where it worries you may be going into starvation mode, especially if you are walking twice per day. You are probably not consuming enough calories for the exercise you are doing. This article has more information on this https://runnersconnect.net/running-nutrition-articles/losing-weight-with-running/ just try to get the right foods, and that will include some carbohydrates as well. Keep them good, wholesome foods, and you should continue to improve. Just give yourself some recognition for how far you have come already! carbs are the first thing your body burns for fuel, not protein so if anyone ever tells you theyre eating tons of protein just to work out its usually pointless, protein will help build/repair your muscles, carbs come first for energy consumption, thats why its good to have some but not a lot, eat the carbs that come with the healthier foods you want through out your day, as long as you’re going to work out afterwards, there is also such thing as over hydrating, so my recommendation is to sip water as you work out, (not chug 2 huge sips) but to just get your mouth going again so you don’t feel dried out. I usually pour about 16oz of water in a cup and drink it during my work out. if you do it in intervals (every 5 minutes take a little sip) between your sets it should actually not effect your work out. I had that problem too where I had mostly water weight and its a matter of sweating as much as you can when you realize you’re weight is not coming down because of that. During high school I suffered from anorexia. I didn’t eat hardly anything but I was very active in soccer and dance. I weighed 118 when I graduated and I am 5’7. Two years had passed and I was not active at all and I was also still eating very little and when I did it was unhealthy. I weighed 126.4. I knew I had to do something to fix this so this month I began running pretty much everyday and eating 4 times daily (healthy food, a lot of fruit). I weighed today (its been 25 days) and I weigh 130. This is very hard and confusing for me. Could you help? Hi Brittany, unfortunately this a question that would be best for your doctor. At 5ft 7, 130lbs is a good weight for you to sit at, and if you intend to keep running, you should continue to increase your caloric load. Not eating enough is going to do a lot of long term damage on your body, but it is probably best if you speak with a specialist who can sit down with you and find a plan that works for you. Good luck, stay strong! I just need help in how can i loss my weight this is because when i was training in kenya i was flacuating in 59-60kg but after i came to europe i increase weight vigorously even when i am training so hard. now i am 69 and i am not a lazy man that i sleep i used to be busy all the time but No reduction of weight and i want to be 60kg is enough what can i do for it.